Your donations will help those in need. You will have an opportunity to choose where you want your donation to go when checking out in Paypal. You can donate to our new Crisis Loan Program (CLP) or the Mini Loan Conversion Program (MLCP) or help with life's basic needs such as rent, utilities, prescription drugs, etc. No donation is too small. Did you know more than 90 cents of every dollar received directly benefits our neighbors in need that we serve? We are able to do this at St. Vincent de Paul because of the generous support of our dedicated volunteers and donors. Your financial donation allows us to serve many Tarrant County families who come to us for help each year. The Society of St. Vincent de Paul is an international non-profit Catholic lay organization whose members join together to grow spiritually by providing person-to-person service to the needy and suffering. We embrace all works of charity and justice, and make no distinction in those served, because in them we see the face of Christ. The Society of St. Vincent de Paul serves everyone, regardless of creed, opinion, color, or origin. Donating to the Society of St. Vincent de Paul is fast, simple and secure! 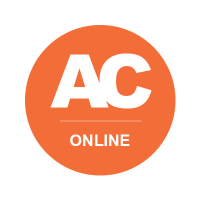 CLICK BELOW TO DONATE ONLINE TODAY! Donate your car and you will be offering hope one vehicle at a time. Will your employer match your gift? Corporate Matching Gift Programs. Many companies have matching gift programs that will double your donation to qualifying charities. Check with your human resources department to see if your company participates in a program. If you or your company has any questions please contact us at 817-595-6520. 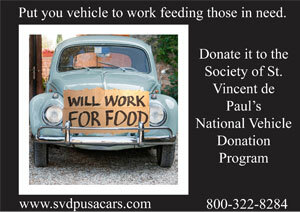 Society of St. Vincent de Paul is a non-profit 501(3)(c) organization. All donations are tax deductible. Please consult with your tax accountant for financial advice. North Texas Giving Day 2018 is Thursday, September 20. Report back here for more information as we get closer to the date.